What top case for two up? Picked up the new bike today. 2018 1000xt. Put around 90 miles on it. 25 of those with the wife. She is 5’6 and about 150 lbs. Within 5 min she said she doesn’t like not having a backrest. She is use to riding our Harley cvo road glide with top box. Top box that will look good and not out of proportion with the bike. It needs to work with future side cases. I like the look of the Givi v47 tech top case, but didn’t know if it takes up passenger seat space or causes pillion to lean forward. Also are there any differences in mounts? Givi vs Motech etc. 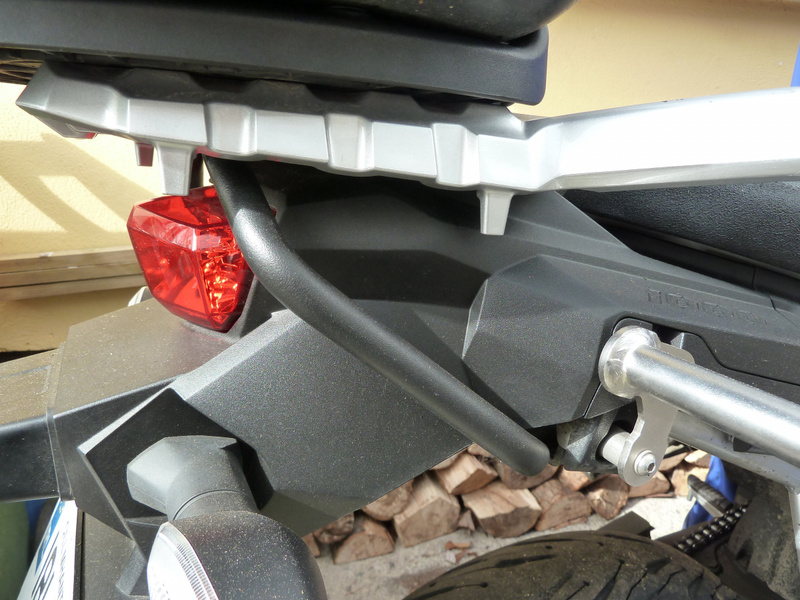 Givi is good but take a look at Shad...I think it's a step up in quality and very good fitment. Do you have side cases ?? the 3P system from Shad is pretty slick. I think the backrest is a separate buy. Whatever box You use, ensure that the plastic carrier is well braced from underneath because it is too flexible to support a top box that is being used and relied upon as a backrest. 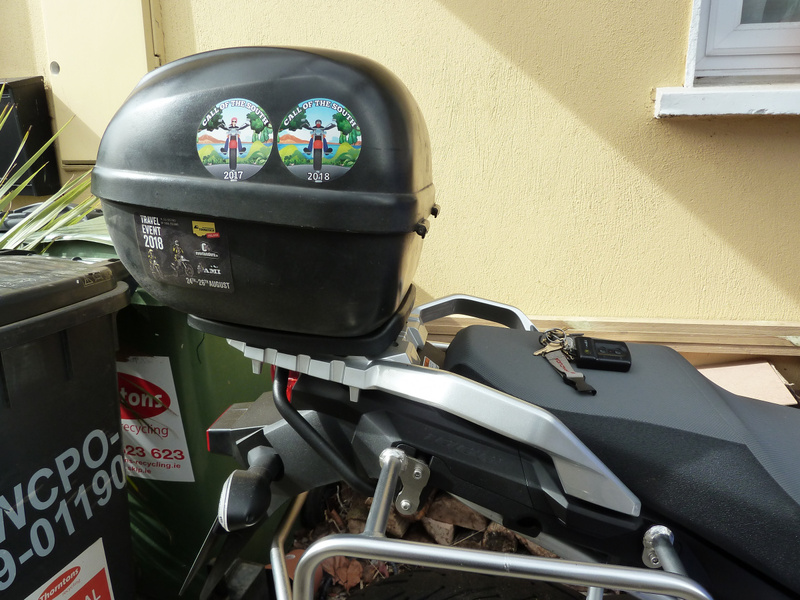 I have used a combination of a GIVI Strom-specific kit together with a very old small top box that has been used on many bikes. I tried others but the Wife settled on that set up as being the most comfortable. Bazooka Joe and slipstream like this. 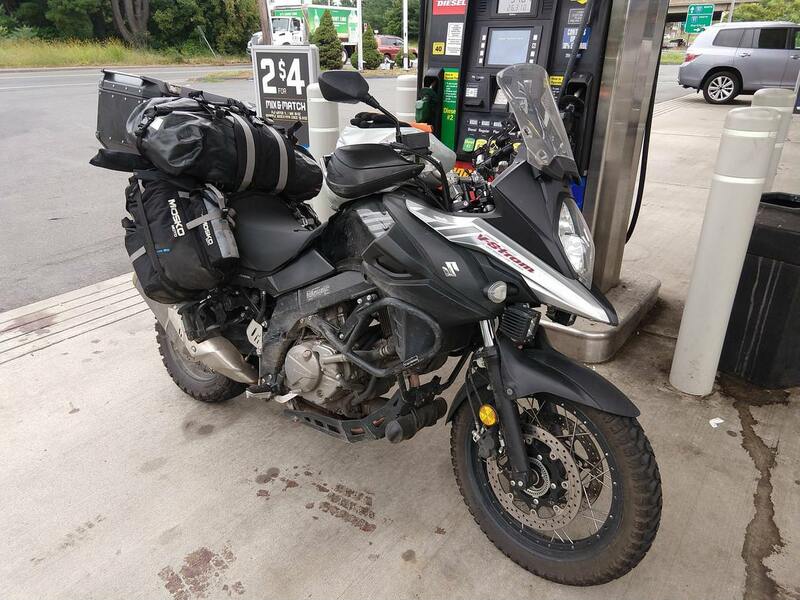 The Givi outback trekker 58 held 2 helmets or 1 helmet and ALL my riding gear...strong and secure. I never got it but Givi sells a back rest pad for this case but it's @$80 you could probably make a better one for $20. Last edited by slipstream; 03-23-2019 at 07:58 AM. Totally agree and that is what I also used albeit instead of the alloy plate I used the Universal Givi plate. There is actually plastic involved on your carrier though and that is the OEM Suzuki item under the alloy plate. That is the item I refer to as being flexible. You will see from my photos that I am also using the Givi side supports. If you want to go cheaper but still functional and low profile, then a Pelican box is the answer. I do not have a pad on mine and the wife says it's comfortable,, but if she is going to ride long distance I would add a pad. MacDoc don’t have any side cases, I’m starting from scratch with new bike. One of previous bikes was a bmw 1200 gsa with Aluminium top box and side cases. I liked the loading from the top. I know Givi has the trekker series that loads from the top. I’m going to start with top box and then get side cases later this summer. 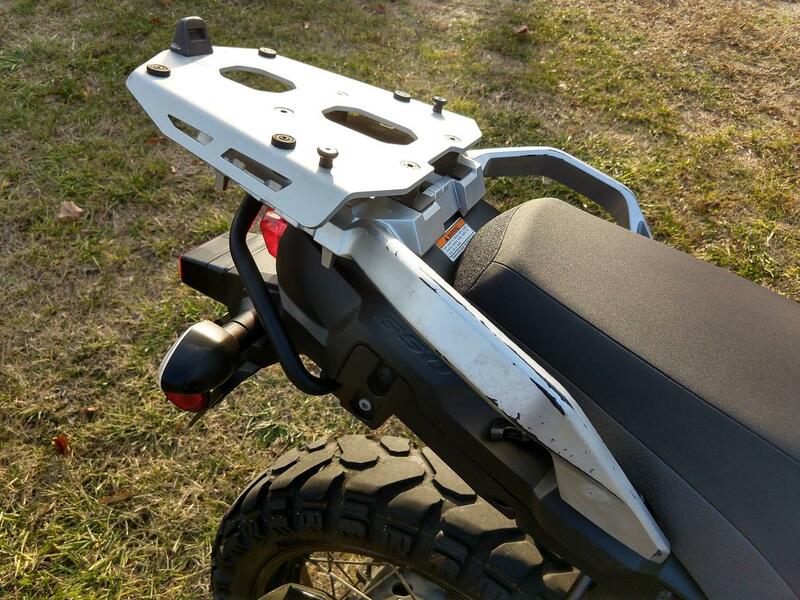 I like the Shad and how it mounts to the bike, but should I be concerned of of how the top mount works with Shad set-up vs Givi that has the side brackets? Shad vs Givi- does either have a benefit in giving passenger more room? Meaning does one sit farther back vs the other? Just want to purchase once and cry once. Fear is I will get a top case and it will push her forward or cause her to lean forward. Last edited by Highwayman2016; 03-23-2019 at 11:13 AM. Luggage is important but I like Shad quality tho I have no arguments with Givi ...I think Shad a step up. You are overthinking the top case. I really like my Shad SH23 - they weigh nothing ( 3 lb each ) and the 3P mounting system is almost invisible when the cases are off. 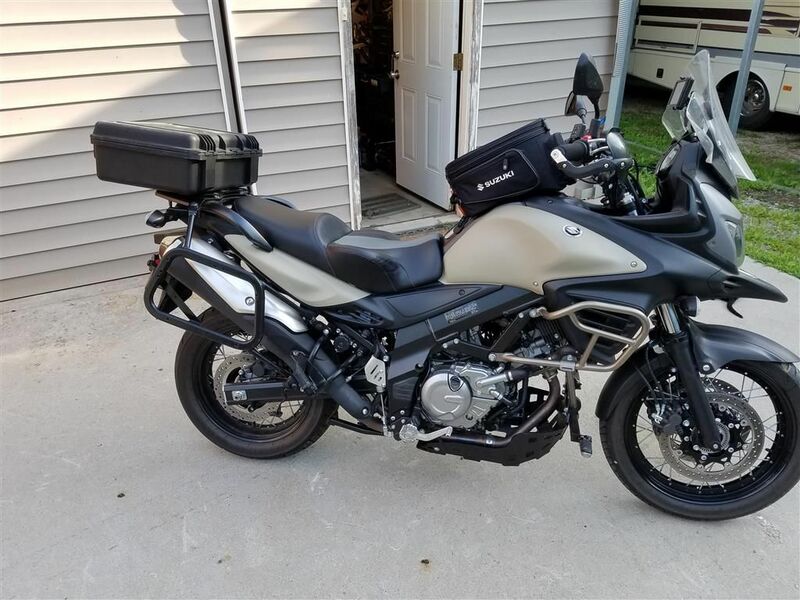 The whole luggage on mine adds only 10 lb to the bike when not loaded - mounts and side cases and looks decent. 46 L total might not be enough for you. Tho with a 48-50 L top case might be fine. I think I was $400 US cases and rack. Yours would be about $450 - rack and cases. I noticed Revzilla has a good deal on the SH35s $200 off. Last edited by Macdoc; 03-23-2019 at 11:45 AM.